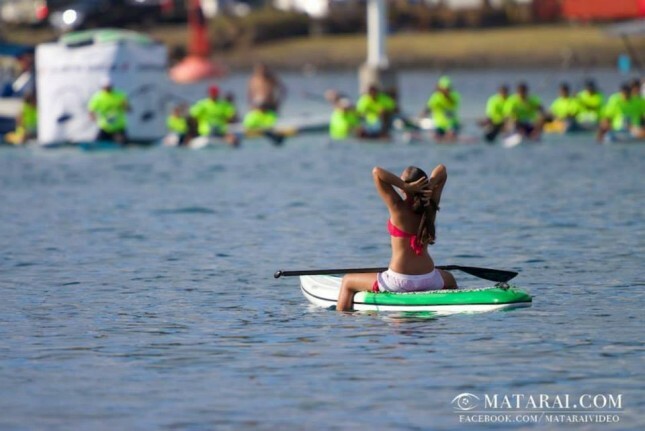 2015 Air France Paddle Festival - Tahiti's First Big Race? Could The Air France Paddle Festival Be Tahiti’s First Big International Race? Could the Air France Paddle Festival grow into an international level event? While April 18th & 19th is a crowded weekend in the States, with at least three solid races in California, the big one at Ft. DeSoto in Florida and various local and regional events, the results sheet I’m most interested to see will come from the other side of the Pacific. The paradisiacal waters of Tahiti have long been known to produce the world’s strongest paddlers. The island nation totally dominates the world of outrigger canoeing, and increasingly their paddle warriors are discovering the joys (and opportunities) that come with standing up. I was blown away with the talent I saw first-hand last December – there’s probably a dozen world class names in Tahiti that you’ve never heard of – but I was also blown away by the fact these guys and girls rarely have a chance to display their talents to the outside stand up paddling world. Tahiti needs its own international-level, dedicated SUP race to highlight and nurture the extraordinary talent that lives there, and give those locals an opportunity to compete against the world’s best without paying for a (very expensive) plane ticket to America or beyond. Apart from the raging bull Georges Cronsteadt, and a couple of young stars such as Tamarua Cowan and the emerging wunderkind Niuhiti Buillard, Tahiti’s super talented SUP community is a virtual unknown. Sure, there are a few decent local races on the island of Tahiti, including the Iron SUP Race and the Manuia 404 weekend. Plus we’ve got that crazy/awesome/epic IRONMANA event happening over on Bora Bora every December (as well as its “Waterman Tahiti Tour” local spinoff series), however that’s less of a regular SUP race and more of a week-long, multi-sport torture chamber. 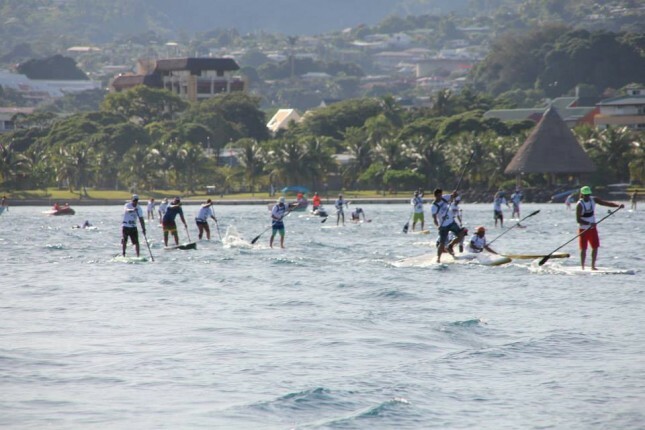 What I’d love to see is the world’s best descend on Tahiti for one big SUP race a year. A Carolina of the South Pacific, if you will. Well one event that’s contending for that title is coming up this weekend: The Air France Paddle Festival. Air France 2015 comes with an $18,000 prize purse, part of which is in the form of international plane tickets. That’s a huge drawcard in Tahiti, where international travel is uber expensive and airfare vouchers are just as valuable as cash. 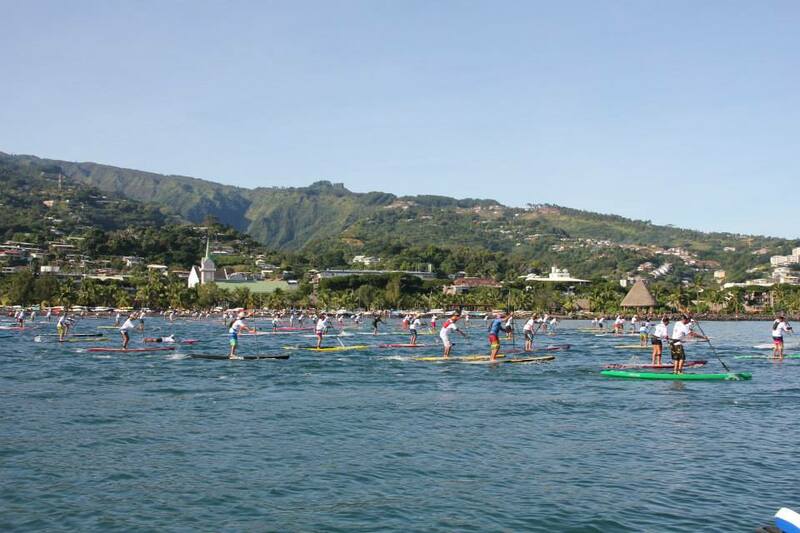 Hopefully the winners use their tickets to reach some of the major races later in the season, such as the Gorge Paddle Challenge in August (an event the Tahitian crew seem very keen to invade). The Tahitian paddlers I spoke to all seemed to agree that the Air France Paddle Festival is the island’s best chance of growing a local race into an internatinonal event. I also spent some time with the main organiser and I get the feeling this race will be around for the long term. Air France won’t be a major international race this weekend – its proximity to Carolina has kept most top paddlers away (though Annabel will be there) – but it could lay the foundation for a big one in 2016 and beyond. I hope more of the big names pencil this one in for next year, assuming the dates can be tweaked, however we’ll still get to witness the uber-talented, dark horse locals showing their skills this year. 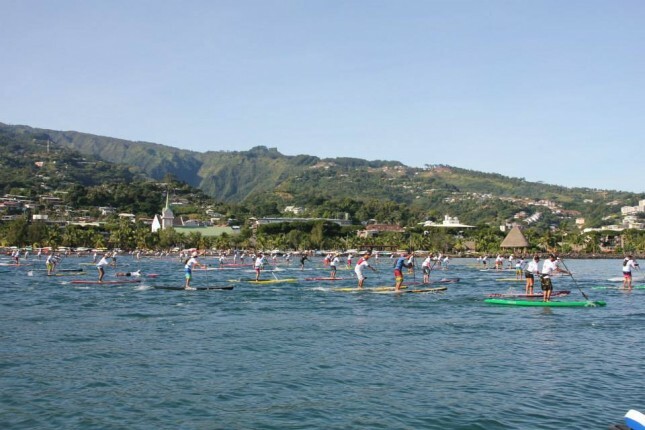 The 2014 Air France Paddle Festival saw a massive local turnout. This year’s race is expected to push 300 competitors.